Audio interfaces are an essential studio staple that can have a big impact on your sound and workflow. Back in the day, the audio interface market had a clear divide between budget and premium options. The industry then changed drastically in 2012 when Universal Audio announced its Apollo range of interfaces at unprecedented value for cost. Now you can find tons of fantastic sounding options that come in various forms and prices. To make shopping for an interface easier for you, we put our minds together to narrow down your options. Great sound quality is achievable with gear starting around $600, but remember an interface should be one of your pricier studio investments. When Universal Audio announced the Apollo interfaces, it truly changed the game. Never before has software so seamlessly integrated with hardware. Since we love UAD plugins and use them every day to make music and do sound design, we decided to outfit every one of our studios with an Apollo. We have multiple Apollo Twins and Apollo 8’s. They sound fantastic, are very stable and get the job done. Apogee is the OG interface company. They were the first company to make digital audio converters for the studio and have been the premium solution for 30 years. Last year they announced the Element series which offers killer sound for a pretty great price. And they did that by essentially eliminating all of the knobs and displays on the front of the unit. So if you don’t mind tweaking gain and volume in software rather than on the hardware, the Element series are great options. From home to professional, we’ve curated a list of studio monitors to hear your work in the best detail. Read about it here. Antelope is a relatively new comer that came on to the scene with their Atomic clock in the late 2000’s. It was very expensive but made your studio sound incredible. Since then, they’ve been releasing a slew of interfaces and also have plugin integration like Universal Audio. And if you need more channels for your money, Antelope is it. Their Orion Studio interface includes 12 mic preamps (recording drums?) for roughly the same price as the Universal Audio Apollo and Apogee Ensemble and it comes bundled with a bunch of great plugins. 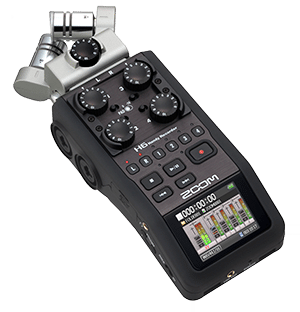 The Zoom H series recorders are not your typical audio interfaces, but they’re worthing noting because we use them all of the time to sample in the field. The H6 and H4n are favorites to grab a cool sample and then pop it into Ableton, or do an impromptu recording of sketch ideas. The workflow is really fast and eliminates the computer from the equation which is really nice. 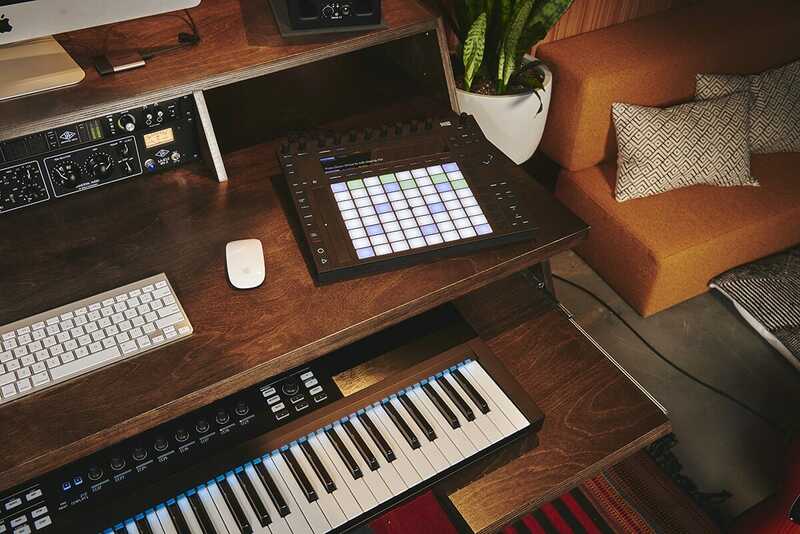 Still deciding on which studio desk is best for you? We’ve made a whole list of our favorites at various price ranges for you to check out here. If UA, Apogee and Antelope are out of your price range you will mostly be sacrificing sound quality, build quality, and plugin integration. But there are still a ton of great options. We recommend checking out the Focusrite Clarett series. With similar configurations to the ones listed above, these interfaces are a solid option at a lower price. We have also been hearing good things about the design and build quality of their latest Red 4Pre and Red 8pre series. Worth the investigation if you are on the hunt for a great sounding, budget friendly option. Feeling inspired? Check out Platform to fit your audio interfaces and gear!